It’s in your hands, take action. World Arthritis Day raises awareness about the 100 plus types of inflammatory and non-inflammatory musculoskeletal conditions commonly known as arthritis. Millions of people worldwide are affected by rheumatic and musculoskeletal diseases. Arthritis, while common in the over 65’s, can affect people of all ages. Muscular flushing – to move inflammation. 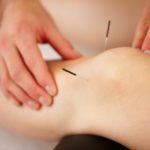 Dry needling – acupuncture needles for muscular pain and dysfunction, great when an area is to sore to touch. Joint decompression therapy – a type of gentle traction. Massage – to promote health in the muscles and ligaments. Exercises – to create ongoing strength around the joints. Joint Pain – this pain can range from dull and achy to severe and debilitating. It can occur when the body is at rest or in motion and is one of the most obvious symptoms of arthritis. It is caused by a decrease in joint space and wearing of the joint cartilage. Also a decrease in the strength and flexibility of the ligaments and muscles surrounding the joint. Joint Swelling and Redness – commonly referred to as flare-ups. Inflammation and swelling generally occur in episodes. As your condition progresses these episodes can become more frequent and severe. GP’s can prescribe medications to help with flare-ups and regular chiropractic therapy can help decrease the frequency of them for some patients. Joint Stiffness – arthritis patients often experience joint stiffness if they have been still for too long. It can take a while for the joint to get moving again. It is common for ligaments to lose their elasticity in arthritis sufferers. Muscles and tendons become less stretchable and bone can deform. Limping and Decreased Range of Motion – is a common symptom of arthritis. Due to the loss of elasticity of the ligaments, joints become restricted in flexion and extension. This leaves the sufferer unable to fully bend or straighten their joint often resulting in a limp or compensation when they try to do an activity. Arthritis sufferers will also limp due to pain and inflammation. See your chiropractor and your GP. We can work together so you get the most out of your treatment. 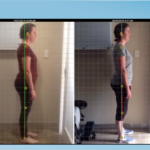 Losing weight can help take pressure off the joints. Address your diet. Some types of arthritis have specialised dietary needs. However eating a healthy, fresh, well-balanced diet is always a good idea. Stretch and strengthen. Depending on the type and severity of your arthritis will depend on your exercise level. Ask your chiropractor or health care professional what type of exercise is best for you. Keep moving!! and remember your health is in your hands, take action.